iSolve Mobility is South Africa’s leading Full-Service mobile application development company with over 100 successful projects under its belt. We have created mobile apps of varying levels of complexity: from B2C applications to enterprise-grade mobile solutions, and the infrastructure to support these products, that automate mission-critical business processes. If you’re looking for an experienced app development partner to work within your company’s existing systems infrastructure, or if you need an expert team to help you design a holistic solution, iSolve Mobility can provide a tailored solution to your needs. Let us call you to discuss your project requirements. Picking the right partner and approach to mobile app development is a critical success factor that can make or break your project. iSolve Mobility’s talented pool of mobile app developers, business analysts, UX experts and certified software engineers typically use an agile, low-risk mobile development methodology that has a proven success record and ensures rapid results and 100% visibility. Android smartphones dominate the market. With over 1 billion users around the world, ignoring this segment would be plain irresponsible. Unlike iOS, the Android ecosystem is a highly-fragmented environment, there are many supported and discontinued versions of the operating system on devices created by many different hardware providers. iSolve Mobility has an in-depth understanding of the unique requirements of this platform, and our team is experienced in delivering native and web-based Android application development, including supporting backend web-services. The apps we produce are designed specifically to have flexible user interfaces that can accommodate the wide variety of devices, screen sizes and resolutions, which is essential to the Android platform. The iOS platform is unbeatable. While Android offers an exposure to more potential users, iOS offers more revenue and user loyalty. Apple’s iOS platform has undergone a significant transformation since the iPhone was first released, and iSolve Mobility has been at the forefront of iOS software development for the iPhone, iPad and iDevice since the very beginning. We will continue to evolve with major release. Our team is highly skilled, with solid knowledge of the iOS tech stack — including Objective-C, C++ and Swift. No matter the technology used, our experienced iOS developers will make sure your product is reliable, scalable and usable, and fits the end-user requirements for look and feel, performance and ease of use. Of the three main development platforms for mobile apps, Windows is the little brother, but it still has its place. It goes without saying that if you are rolling out an app for wide use across a diverse range of users, then your number of Windows users may well be under 10%. Now think of Blackberry that has an even smaller share than Windows, but consider the main audience for Blackberry’s – businesses. Having a Windows-specific app not only caters to those who use them (which they will appreciate) it also allows you access to this important business only market. Here at iSolve Mobility, we are all about efficiency. We often get asked which platform do I build a mobile app for? Should I build one for Android only or should I build an app for iOS and Android? But what about Windows, shouldn’t I target this platform as well? But who can afford building an app for each platform? Why make nine apps when you can make one? This is why we build cross platform applications for modern mobile enterprises. One App. All Platforms. Using all of the major cross platform frameworks, including Appcelerator Titanium, PhoneGap, Sencha, JQuery, and Corona, we develop one app. Then we optimize that app for multiple platforms and app stores like iOS and Android, giving your users a unified experience no matter the device. As Steve Jobs famously pointed out – design is not about how it looks, it’s about how it works. At iSolve Mobility this means we take a user-centred approach to design and development. We believe in intuitive user experiences, and that the success of a mobile app is defined by the way users interact with it. They want a user experience that is engaging, responsive, and intuitive. The result? We create simply beautiful user interfaces that are informed by current trends as well as timeless design principles. Customer experience has never been more important than now, after all it’s not just about looks but how it works. Faced with a deluge of choices, customers will not persist with an app if they have a bad experience. 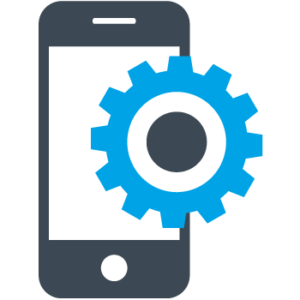 At iSolve Mobility we offer full-cycle testing and quality assurance services for all desktop and mobile applications we build. Our expert test engineers are an integral part of every project we work on to ensure we identify software defects early, can release faster without compromising quality, and improve user satisfaction with a superior, bug-free product. Depending on your business requirements, we provide a range of Quality Assurance services including unit testing, user acceptance testing and automated testing. Do you need more exposure for your App? With over 2.2 million Android Apps and 2 million iPhone Apps available on their stores, an app can easily go unnoticed. To get the maximum return-on-investment for your App, you need to have a well-planned App Marketing Strategy. To set you on the path to success, we will prepare you for launch and guide you through the app store optimization and approval process. With our experience in iPhone, Android and Windows App projects, we can work with you to get more downloads, increase exposure and generate more revenue. No ready-made solutions on the market standing up to your specific business objective or innovative idea? Why not opt for bespoke web application development with iSolve Mobility? We offer a full spectrum of web application design, development, maintenance and support services along with flexibility of engagement models and project scopes in support of your mobile application. From bespoke CRM and CMS, through to custom intranet and portals, we make business processes a breeze. Leading businesses already know that enterprise mobility has the potential to transform their organisation and optimise business performance. It is no longer a luxury, but a necessity. The challenges could be many. Yet the benefits always outweigh the complexities. With data security concerns, BYOD practices and cross-platform complexities, Enterprise Mobility Services is a challenge that requires an expert like us. With every application we develop, we have one goal in mind: Design a business process that works for your users. Every customised mobile application we develop is there to meet your business needs. Tell us your business challenge. At iSolve Mobility we don’t just build software. We invent software. When you engage our software development services you are investing in more than just a software system. You are investing in bespoke mobile business applications that transforms, powers and supports sustainable business solutions. Whether you are a start-up or an established business; from conceptualization, business analysis and prototyping to the development and deployment we are here to assist you at any and every stage of the software development life cycle.